With the recent development of IoT/AI technology, creating new services and solving problems with data as resource is more active than before. Even in Japan, the number of companies that develop services using AI is increasing, but there are many cases that are in the conceptual stage, and the application in business is still in its initial phase. In order for each company or organization to utilize AI in the industry and promote digital transformation on a worldwide scale, it is necessary to share knowledge/examples of each company’s AI and raise technical level. 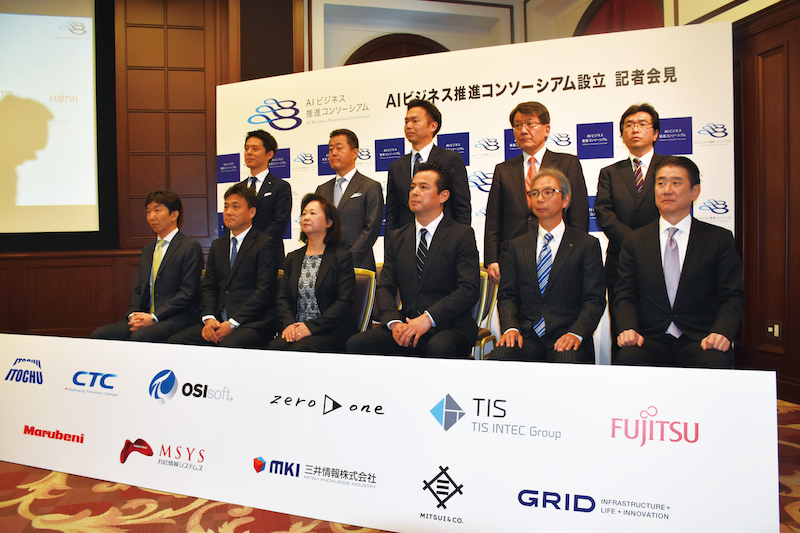 We have formed “AI Business Promotion Consortium” for companies to mutually share know-how, apply artificial intelligence for society, and promote business/research activities through AI application sharing and mutual business cooperation. This consortium aims to promote artificial intelligence to society by having companies, universities and research institutes sharing information, examples and technologies on AI with each other. We welcome many companies and research institutes who can agree with the purpose to participate. 【Purpose】The purpose is for corporations · universities · research institutes to promote business and research activities by sharing information, examples and concrete technology on artificial intelligence. Activities to promote the training of AI human resources. Improving capabilities as AI engineers and AI project managers. Study infrastructure environment on AI development. Create guidelines and draft of inter-company agreement about artificial intelligence development project.